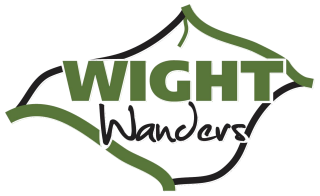 The Heritage Lottery Fund have announced they are awarding a grant of £970,000 to The Isle of Wight Steam Railway for its ?Changing Trains? Project. The grant will help protect and secure the future of numerous rare railway vehicles and will make them available to the public to see and enjoy, through the provision of extensive new under-cover accommodation and new interpretative and interactive facilities for visitors. The Isle of Wight Steam Railway has one of the World?s most important collections of historic railway rolling stock, with some items in the 80-strong collection of locomotives, carriages and wagons dating back to the 1860s. The Changing Trains project will allow the Steam Railway, for the first time, to accommodate under cover most of this historic rolling stock, including those items not yet restored. Chris Tagart, Lottery Application Director for the IW Steam Railway said, ?We are thrilled that the Heritage Lottery Fund has awarded us this grant. It will enable us to much better conserve our historic carriages, wagons and locomotives and to tell their stories to our visitors. ?Currently all our rolling stock has little or no protection from the ravages of the British weather, so the year-round combination of rain, wind, frost, sunlight and heat all take their toll on these fine old vehicles.? Comprising new floorspace of some 2,000sq metres, rolling stock will be berthed and displayed on four tracks within the Changing Trains building, with a fifth track accommodated under a 500 sq metre lean-to on one side of the building. ?Most of the new Changing Trains building will be accessible to the public with a substantial investment of £100,000 being dedicated to new interpretation facilities,? said Chris. ?These will include interactive elements for families and new facilities for school visits. I?m also really looking forward to seeing a couple of more unusual displays, one of which, ?The Beach Hut Carriage?, will tell the story of why our historic carriages survived, while another will depict the story of former wartime female railway guard, May Joyce, who met and married an engine driver!? The Changing Trains Project has been several years in the planning, and in total will cost £1,200,000. The Heritage Lottery Fund grant represents 81% of the total project costs. Partnership funding for the remaining 19% has been raised by the Steam Railway itself, with £150,000 in cash raised through donations and a public appeal, and £75,000 secured through volunteer labour from IW Steam Railway personnel. 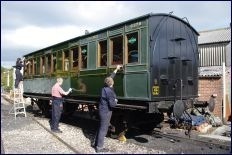 ?This is transformational stuff for the Isle of Wight Steam Railway?, said IW Steam Railway Chairman, Steve Oates. ?We are hugely indebted to the Heritage Lottery Fund and to all those who gave so generously to our appeal. After 41 years of operating and growing our railway we will soon have a new purpose-built structure which will not only protect and conserve so much of the collection we have built-up, but also provide a wonderful new attraction for our many visitors. ?To be awarded a grant of this size is a huge acknowledgement of the skills, effort and dedication of our 300 volunteers and staff who work so hard to keep a little piece of Island railway history alive for future generations to enjoy?. With full planning consent already in place, construction of Changing Trains will commence in September this year and will take 12 months. The planning and design of the Changing Trains building and associated infrastructure has been overseen by Steam Railway general manager Peter Vail and undertaken in-house by engineering volunteer Pete Jardine and the Railway?s Civil Engineering Manager Dave Walker, together with Island based chartered quantity surveyor Philip Pike, who generously donated his time to the project. Some 40 other IW Steam Railway personnel have also been closely involved in planning the overall project. Stuart McLeod, Head of the Heritage Lottery Fund for South East England, said: ?This investment is exciting news for the Isle of Wight, as we see this important heritage site celebrate news of HLF funding today. ?As the guardians of one of the world?s most important collections of historic railway rolling stock, this funding will enable the Isle of Wight Steam Railway to offer exciting opportunities for people of all ages to get involved in the heritage on their doorstep. ?